Once each year, I write an article in my "Nuts & Bolts" series. It's dedicated to the players who are interested in designing their own personal Magic sets. It's a much more technical inside look at how we design Magic sets, but even if you aren't interested in making your own, this series will help you get a better sense of how we do it behind the scenes. A lot of different people from a lot of different departments have to look at Magic cards as they're being made. To make sure that everyone is always referring to the same card when they talk, we use something known as card codes. This first article explains how to read them and why we use them. It's very technical but key information for many of the columns that follow. If you're building a house, you have blueprints. If you're putting together a machine, you have schematics. If you're designing a Magic set, you have a design skeleton. This second article talks about how a design skeleton is crafted and how you can use it to figure out the structure of your design. Once you have the blueprints, at some point you have to begin building. This third article talks about how to start making your set, focusing mostly on making your common cards. As I often talk about, whether or not your set's theme gets conveyed relies on the ability for it to be seen through the common cards. Once your commons are doing what they need to do for your set, it's time to start making the uncommons, rares, and mythic rares. This fourth article talks about the challenges of filling in your design skeleton at the higher rarities. Sitting and thinking about your set can only get you so far. At some point, you have to start playing with your cards, because nothing will tell you whether your set is working like actually using it. This fifth article explains how best to playtest your cards so that you are learning everything you need to improve your set. Design is all about iteration—that is, going through a loop that you do again and again, making improvements each time. This sixth article talks about the importance of iteration and how to use it to make the best set. It's very easy to think of design as being one long, singular process. This seventh article explains that there are actually three distinct stages and walks you through what the focus of each one is. Which brings us to today's column, number eight in the series. Okay, you've made your design skeleton, filled it in, started playtesting, and begun the iterative process. Today, I'm going to talk about some of the problems you're going to encounter along the way. Yes, it's troubleshooting time. "Houston, I think we have a problem." Let me start by stressing that there are many problems that you can have when designing a set, way more than I could possibly ever cover in a single column. I've decided to focus on the most common problems to help the largest number of at-home designers. 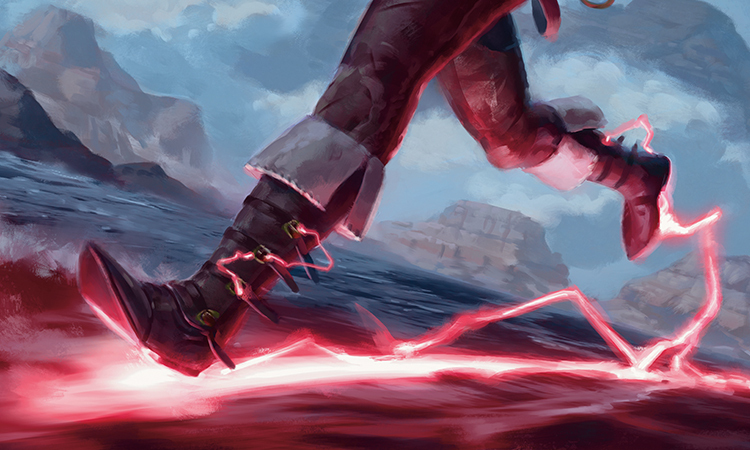 These are obviously the problems we've most often faced when making Magic sets, so today's article should give you some insight into some of the troubles we have. You have a lot of cool ideas. You have neat themes. You have interesting mechanics. If only there was room to fit it all into your set. One of the important things about using a design skeleton is trying to figure out all the components your set wants and then making sure there's room for them all. There will come a time in most designs when you just have more cards than will fit. For us, this pinch happens most often at uncommon. The reason for this is simple. New World Order pushes certain things out of common for complexity reasons. Desire to make things Limited-relevant will push things down from rare. This results in uncommon just having a lot of responsibilities to cover. But this problem can and does happen at all rarities. You iterate and realize that you have new things you want in the file, but everything that's already there is there for a good reason and you don't want to take it out. There's a saying one of my writing teachers used to tell us: "Writing is about adding things to the page. Rewriting is about removing things from the page." During the initial portion of any creative activity, you are generating ideas. At some point, though, you have to take a step back and look critically at what you've made. During that introspective portion, you have to judge what is doing the work and what is just filling space. The same can be true of a mechanic or a theme. When your set gets overstuffed, you have to always begin by questioning everything you've chosen to keep in your set. Nothing passes the test once and never gets questioned again. As you iterate, the needs of your set are going to change, meaning you have to constantly re-question past assumptions. One of the harshest realities of this principle happens at the handoff between design and development. You're handing the file to a fresh set of eyes that doesn't have the biases you have. It's interesting how quickly whole sections can be challenged. Things that seemed immutable to you can get cut without a second thought. Is there any duplication? Are multiple elements of your set fulfilling the same role? Are there contrasting elements? 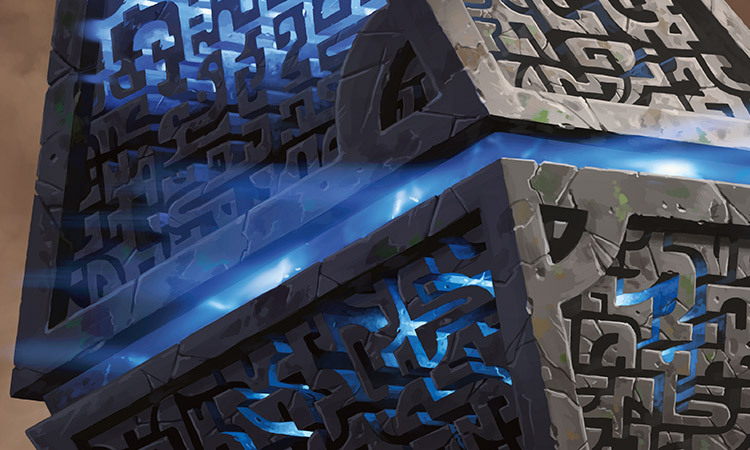 Are two or more pieces of your set fighting with each other, creating unnecessary tension in gameplay? Is something going to be a problem down the road? Are there potential rules problems? Are there potential templating problems? Can the card(s)/mechanic actually be made? Is it fun enough? When you play, is this component holding its weight? Does this card shine in a vacuum but not fit in well with the rest of the set? Ask yourself all these questions honestly and then figure out if you can take out pieces to improve the overall design. Let's suppose you've done the above exercise and you're sure that you have the right amount of elements, and you're just off by a card or two. What do you do then? The best solution is overlapping the components on a single card. Let's take a practical example. You've looked over your file and you realize that with all the card juggling, you've ended up with two things missing in blue at common. You need a bounce spell (aka a spell that returns a permanent, most often a creature, to its owner's hand) because you currently don't have one and common should have at least one bounce effect. You also need another flier. Blue common usually wants a few fliers and you've decided you're one short. The problem is you only have one slot open. What do you do? The answer is to make a creature that flies and also doubles as a means to bounce something. As we're talking common, that would most likely mean an effect that would happen once. You have two obvious choices. You could put an "enters-the-battlefield" effect on the creature, or you could have it sacrifice, probably with a mana cost, to bounce something—most likely just a creature. The idea is to create one card that fulfills two roles. Now, you have to be careful. If you combine them poorly, the card will feel very forced; but done correctly, you can often make a card that's pretty unique. But what if you have two effects that just don't seem to fit together? Easy. Find an existing card with a mechanic that could combine with one of your two elements, combine them and then use the now empty slot you created to put the effect you couldn't combine. Remember when shifting effects around that you still need to keep to your creature/noncreature card counts, which occasionally might mean taking a noncreature effect and turning it into a creature or vice versa. During the article on playtesting, I talked about the importance of getting playtesters who are unfamiliar with your set so that you can get fresh eyes on it. You are far too close to your set to understand what might confuse players, so it's crucial that you get playtesters to serve that role. So, what happens when you bring in playtesters and they just don't play things correctly? While I don't like you talking to playtesters while they're figuring things out (you have a tendency to help them, which muddies the data collected), I am all in favor of you talking to them at the completion of the playtest. In fact, if you are not talking directly to your playtesters, you are missing out on a big reason why playtesting is happening in the first place. There is very important information to glean. Make sure you gather as much as you can. The reason I bring this up first is that there are many reasons why players might get things wrong. To understand why it's happening in your particular case, ask them directly. It's important to understand that they might not always know why, but they will at least give you some clues if not just outright giving the reason. The number-one reason players get confused is a communications issue. The words you've chosen to convey something either don't convey what you mean or are ambiguous enough that it allows other interpretations. This is very hard for you to see in a vacuum because you know what you mean. The best advice I have here is to find another person who has some knowledge of templating to do a pass. Obviously, at Wizards we have professional editors for this task. It's common for us to run cards by them during design if we feel that we're not doing a good enough job conveying what we mean. 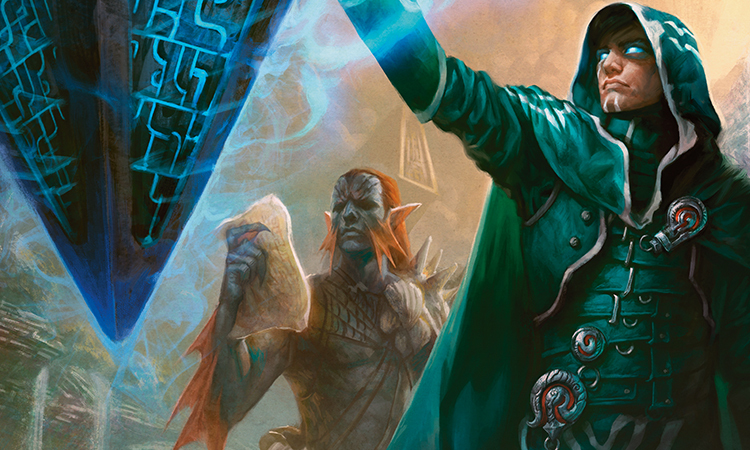 Magic templating can get very complex, so my advice for anyone trying to do templating is simple: Whenever you're templating, find a card in Magic that did something similar. Don't start from scratch. Build off of existing Magic templating. My one caveat is that the more recent the printing of the card, the better, because we do change templating over time. Also, it's okay to make multiple templates and then try out different ones to see which ones are easier for players to grasp. The companion problem to templating issues is rules issues. Sometimes players understand what the words say but have problems when they contradict elements of the rules. Interestingly, the more common problem is not that players feel the rules don't allow something, but rather that they do things the rules don't allow because they believe the card overrides those rules. Just as I advise getting another set of eyes on templating, having someone else look over your cards for rules issues is valuable. A good resource for this is judges, who have to have a certain level of rules knowledge to be certified as a judge. The number-one cause of confusion is templating/rules issues. The number-two cause is that the card is contradicting the player's intuition. I talk about this all the time, but I can't stress it enough. Human intuition is very powerful. Fighting against this force is usually a hopeless task. The goal is not to make your player change how they normally function but to have your game component match their expectation. I say it often and I will repeat it again: fighting human nature is a losing battle. Let me give a practical example. During Time Spiral design, we created the suspend mechanic. For those who have never played it, the mechanic allowed you to trade mana for time. Spells that would normally cost more cost much less, but you had to wait some number of turns before they happened. The problem we were running into was this. A lot of the cards with suspend were creatures. You would cast them, put them in exile, and remove a counter every turn, and then when there were no more counters you would put them onto the battlefield. Now, according to the rules, the creatures had summoning sickness. They weren't allowed to attack because they hadn't started the turn on the battlefield. 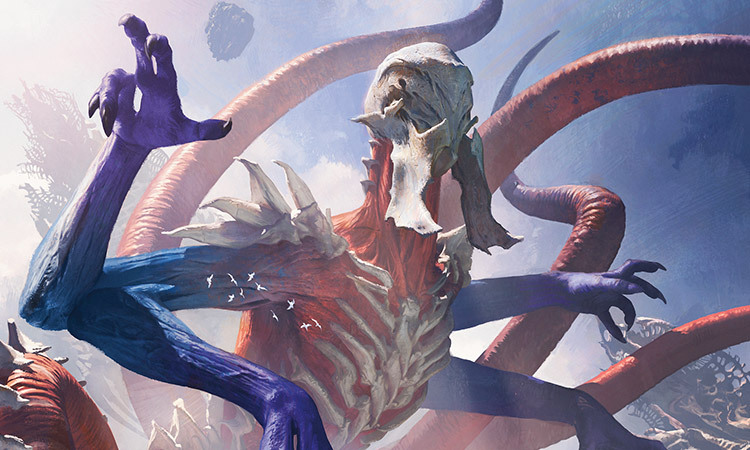 Here's the problem—the vast majority of players would attack with their creature the turn it entered the battlefield. We tried wording the reminder text differently. We added more text to stress they couldn't attack. We contemplated having them all enter the battlefield tapped. But then, one day, I said, let's figure out why this is happening. As I talked with playtesters, I realized two things. First, they felt like they cast the creature the turn they paid the mana for it, not the turn it finally entered the battlefield. Technically, a suspend spell isn't cast until all its counters are removed, but that wasn't how it felt to players. Second, there was a lot of waiting with suspend. Each turn, you had to remove a counter, and there was this desire to finally get it onto the battlefield. Players felt like when they took off the last counter, they finally got the creature. As such, they wanted to use it right away. Putting it onto the battlefield but not being able to attack with it felt like they were forced to wait yet another turn before they got to play with it. So what was the solution? We added haste to all the suspend creatures. Players wanted to attack with their creature the turn they entered the battlefield, so we let them. We made that action the correct play. When you're playtesting your cards, keep an eye on whether or not confusion is caused by the fact that the cards aren't doing what players assume they do. It doesn't matter how clearly and specifically it's spelled out in the rules text. If it contradicts what players think is correct, most of them will skim over the actual text and follow their intuition. Level 1: Mostly can't be blocked—Creatures of this level usually set a "clock" for the opponent, meaning they dictate how many turns until the game ends if the opponent can't find an answer for the creature. The two most common abilities that fall into level 1 are "can't be blocked" and flying. You want to have at least five percent of your creatures in level 1. Level 2: Conditionally can't be blocked—These are abilities that under the right conditions make it so the opponent is either at a disadvantage if they block the creature or simply are unable to block it. Keywords that fall in this category include deathtouch, double strike, first strike, indestructible, menace, prowess, and trample. You want to have creatures of this level also be at least five percent of your creatures. Level 3: Blocked at a loss—This last level applies mostly to larger creatures that can't be ignored because they do a significant amount of damage but usually require more than one creature to trade. A good example of this would be a 6/6 vanilla creature. If your opponent can't answer it with a spell, they are forced to either trade multiple creatures or continually "chump block" it (meaning blocking with a small creature that will die and simply prevents the damage for a turn). This last level should also be roughly five percent (although this category can dip a little below the other two). One final note for this category is that there are cards that, instead of being in one of these levels, have the ability to grant that level, sometimes temporarily and sometimes permanently. For instance, Dwarven Warriors is a card that makes creatures with 2 power or less unblockable. That would be thought of as a level 1 card even though it itself will never attack. Another common problem is you've made your creatures too defensive. The single biggest error made in this category is putting too much toughness on your creatures. If toughness averages higher than power, then you create an environment where, on average, creatures have trouble getting through. (Obviously, the type and amount of evasion has an impact.) If you are finding board stalls, one simple answer is to remove some toughness and see if that helps push the game more toward aggression. This category is one of the trickiest because you can err in either direction. Don't add enough creature removal and the battlefield starts getting too crowded because there aren't answers. Have too much creature removal and no one can keep a creature on the battlefield, especially evasive creatures. In general, if you're seeing stalls where players have too many creatures, your creature destruction is probably a little low. If no one can keep a creature on the battlefield, it's probably too high. Remember that you have the ability to customize your creature destruction, meaning that you can direct what types of creatures are easier and harder to kill. For example, if your direct damage at common does 3 damage or less, then a 4-toughness creature becomes harder to kill. 4. Check your "reset buttons" and "bombs"
This solution is focused mostly on higher-rarity cards. There are two ways to help players deal with stalled boards. First is what we in R&D call a "reset button." These are cards that change the board state radically, often removing most of the creatures. Some "reset buttons" work independently, while others force the player to generate a certain board state (the most common of which is to radically alter a busy combat situation to your favor). Second is what are referred to as "bombs." These are cards that single-handedly have the capacity to win the game and force the opponent to find an answer within a few turns or lose. Try to make sure that all colors have some access to reset buttons and/or bombs. Note that all-common playtests will show a lot of signs of deficiency in this area because neither type of card shows up at common. The goal for these cards is to make sure you have enough that each deck has access to a few. The key to solving the board stalls is figuring out either why you don't have enough cards that can break through or why they all keep getting destroyed. It's a delicate balance and will require a lot of fine tuning, but the above areas are the most likely culprits. That's all the time I have for today. Hopefully I've either given you a few ideas about how to solve some of the problems you're facing or helped you better understand the problems design faces every day. As always, I am eager to hear your feedback on today's column. You can write to me through my email or through any of my social media accounts (Twitter, Tumblr, Google+, and Instagram). Join me next week when I tell some seldom told stories. Until then, may you create some of your own Magic masterpieces. "Drive to Work #304—Firsts, Part 2"
This is the second and final part of my podcast with carpool guest Melissa DeTora, where we talk about our Magic firsts. This podcast talks about when and how we decide to use reprints in a design.